"Does a good job of balancing all of the requirements of varied driving." "One of the few budget options with deep enough treads to shed snow." "This tire excels in snowy conditions where things are quickly melting." "Large blocks on the tread,...dig into the snow for better grip and cornering." "Manages the tricky task of balancing traction and rolling efficiency." "Nothing but aggressive when it comes to challenging driving conditions." "Better grip in light snowy or rainy conditions than most normal options." 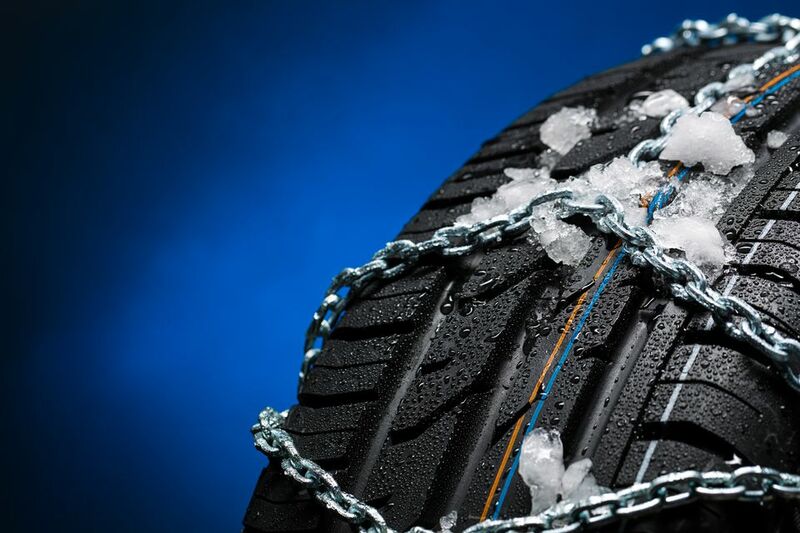 Finding the best snow tires can be difficult since you have to make certain sacrifices for the type of traction required in wet, loose conditions. The more grip a tire offers, the less performance and fuel efficiency it has. Even some options labeled as “winter tires” either do not perform as well in the snow or will leave you wanting more during the times when there isn’t a single flake in sight. The Hankook Dynapro ATM RF10 does a good job of balancing all of the requirements of varied driving such as good traction without too much rolling resistance. With a focus on off-road conditions, the tire sports a staggered tread pattern with deep blocks and good grip along the edges. The grooves are deep, allowing snow to shed off more easily as the wheel rolls along in loose or wet conditions. While it is rather easy to find a good all-around budget tire, it is a different story for good snow or winter tires. This is because most snow tires use larger treads for better grip. Larger treads mean more rubber and more expense. As a result, the best budget snow tire must balance costs and performance. This next option does just this while throwing in some added driving conditions into the mix. 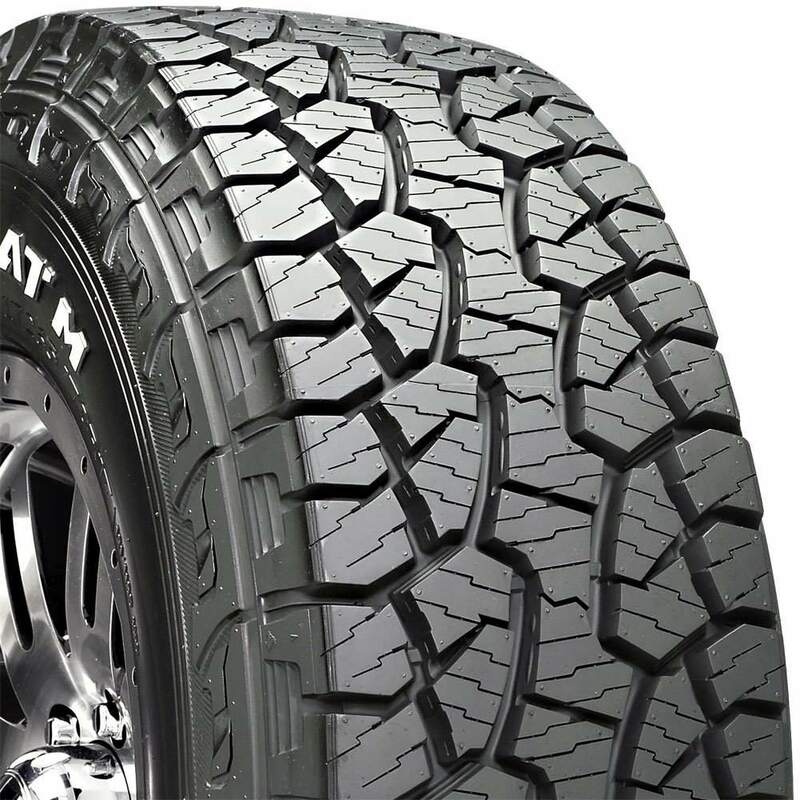 Meant for off-roading and bad weather conditions, the Goodyear Wrangler Radial Tire is one of the few budget options with deep enough treads to shed snow more effectively as it spins. This will promote better stability and grip when you have to drive in a few inches of snow. Compared to other budget options, the tires also have a good reputation for longevity, lasting countless miles before needing attention or replacement. Normally, the term “all season tire” is a bit misleading since most options in this category do not perform well in the snow. True snow tires have a tread pattern designed with the shape and compound meant for colder, looser driving conditions. Still, you may be interested in an all-season tire if you do not want the hassle of changing out tires when winter hits. If this is the case, your best bet is the Continental Extreme Contact tire. Not meant for heavy snow conditions, this all-around performer is still a good tire option to consider when you want to be prepared for the occasional, unexpected light amount of snowfall. This tire excels in snowy conditions where things are quickly melting, presenting wet and dangerous conditions for slipping. The deep channels in the tire tread allow water to slip right through while the cross pattern bites down, giving the surface better grip. No tire is truly “all-terrain” in the sense that it can drive on anything. All tires have their limits, but some balance traction and performance well enough to get through a variety of driving conditions. When snow is thrown into the mix, however, many all-terrain tires will fail to get the grip needed to continue driving. For a tire that can handle different terrains and the occasional snow, you need the right tread pattern. If there is one thing snow and mud have in common, it is a lack of traction. The BFGoodrich All-Terrain Radial Tire is designed to maximize a vehicle’s traction as much as possible by preventing the wet stuff from building up on the surface of the tire. Large blocks on the tread, especially the edges, dig into the snow for better grip and cornering. The polyester carcass also helps to protect against punctures from sharp objects on or off the road. The highway is one of the most dangerous places to drive during a heavy snowstorm. Even a light dusting of snow can present a challenge since you may not expect the hidden dangers that can await. It is important to know that true snow tires do not perform well at highway speeds due to greater rolling resistance. Therefore, a highway tire that can survive light snowy conditions at slow speeds will fit somewhere in between true snow and speed performers. The Bridgestone Dueler Tire manages the tricky task of balancing traction and rolling efficiency with medium-level tread blocks. While the treads can slip in deep or loose snow, the tires perform better than many all-season options due to the notch and sawtooth shapes that grip more than straight tread patterns. This is a good all-year tire for most weather conditions except for the really nasty stuff. If you have ever wanted to test the grip of your vehicle, the best place to do it is off-road in snowy conditions. The mixture of loose gravel and snow is enough to challenge most modern trucks and SUVs with the latest traction control systems. With a tire that has aggressive treads and the right compound, however, you just might have a chance at surviving in these unique driving conditions. The Federal Couragia M/T tire is nothing but aggressive when it comes to challenging driving conditions. The central treads and edge blocks are both large, deep, and grippy. The spacing in between the treads is wide enough to keep mud and snow from gripping on the surface as much as normal tires. With extra puncture and cut protection, these are the best choice when you want to go on or off road in snowy conditions. It is not uncommon to find yourself in snowy conditions while on the road. Traditional touring tires maximize fuel efficiency by lowering rolling resistance. Unfortunately, this can mean less traction in more challenging driving conditions. A good snow tire for touring is one that has the right mix of rolling efficiency and grip built into the design of the tread pattern. The Bridgestone Blizzak tire is designed for better grip in light snowy or rainy conditions than most normal options offer. The tread pattern is crossed so the tire bites down into the snow for better grip. The surface material has a hydrophilic coating that helps repel water and gain better stopping power on snow or ice while remaining pliable in colder or freezing temperatures. Sometimes, the level of traction most snow tires offer just is not enough. If you are dealing with icy conditions, even the deepest treads will fail to get a good grip. This is where some people like the added control metals studs can offer. Penetrating deep into snow and ice alike, studded tires give more grip than mere tread alone. To keep the tire from getting a flat when you add the studs, however, you need thicker treads than most winter tires offer. The Cooper Tire Discoverer is meant for the snow, period. One look at the aggressive tread pattern filled with deep grooves and tall blocks is enough to understand this. In addition to the natural boost in traction this tire offers, the thickness of the tread allows it to accept most common snow and ice studs without the worry of causing a flat. As a result, you can get better traction on snow and ice if necessary.